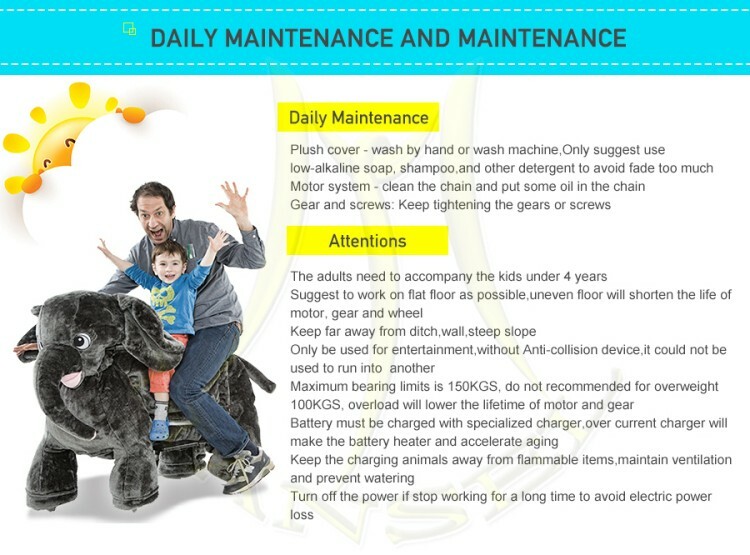 Welcome to visit Hansel website for plush motorized animal scooters.Hansel company manufacturer those electronic riding toy animals, known as Motorized animals since 2009. These portable amusement rides, which are battery operated, are sure to be a hit with your little children. 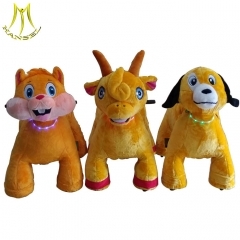 With an array of musical genres to choose from while riding, as well as forty different animals to choose from–Hansel Motorized Animals a perfect opportunity to foster your child’s sense of individuality in a safe and structured environment. Still a little skittish of turning the reins over to the little ones? No worries, each animal is able to withstand a weight of up to 200 pounds, so you can take a ride with them if you’d like. 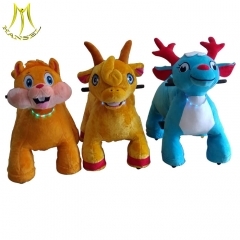 Main market :Hansel plush ride on animal toy are sold to over 100 countries. 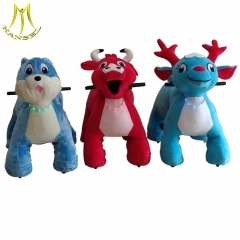 They are most popular in European and South American countries such as USA, Spain, France, UK, Colombia,Russian Federation, Chile, Venezuela, Netherlands, etc. 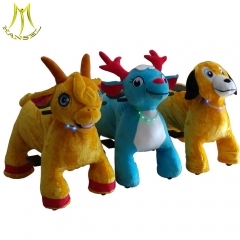 Animal Scooters are also called plush animal electric scooter, walking animal bike ,battery operated ride on animals, electric ride on animals, ride on furry animal, happy rides on animal, mountable animals, animals electric toys, children play electric operated coin toys, electric toy cars for kids, toy rider coin animal , toys animal electric, stuffed animals that walk, motorized plush animals, zippy toy rides on animal, kids ride ,kiddy ride machine, battery operated toys ,animal walking toys, ride on toy unicorn, happy ride on animals, motorized riding animals, animal scooters in mall and so on. 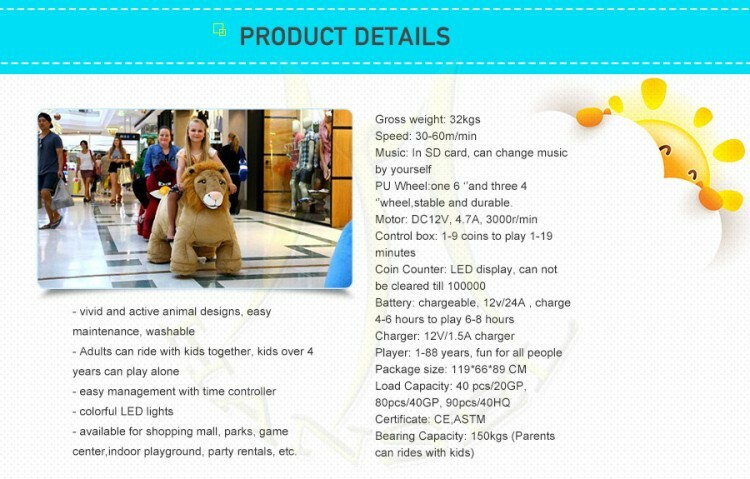 They are goods investment for shopping malls, super-market ,parties, events,game centers, amusement park, children playground or renting for parties,events etc. 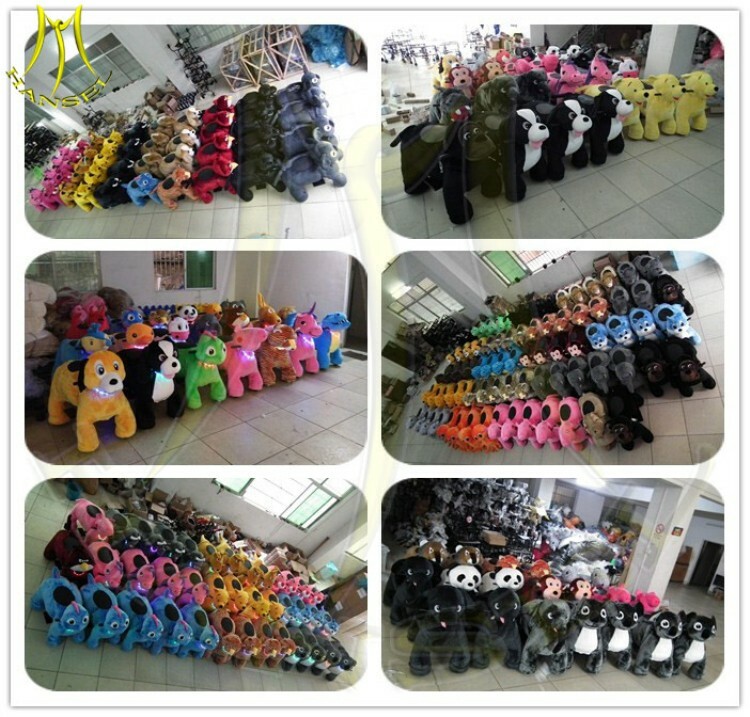 over 300 pieces metal frame and 200 pieces animal skin in stock each month. 3 days for order within 20 pieces. 7 -10 days for order over 50 pieces. 1. 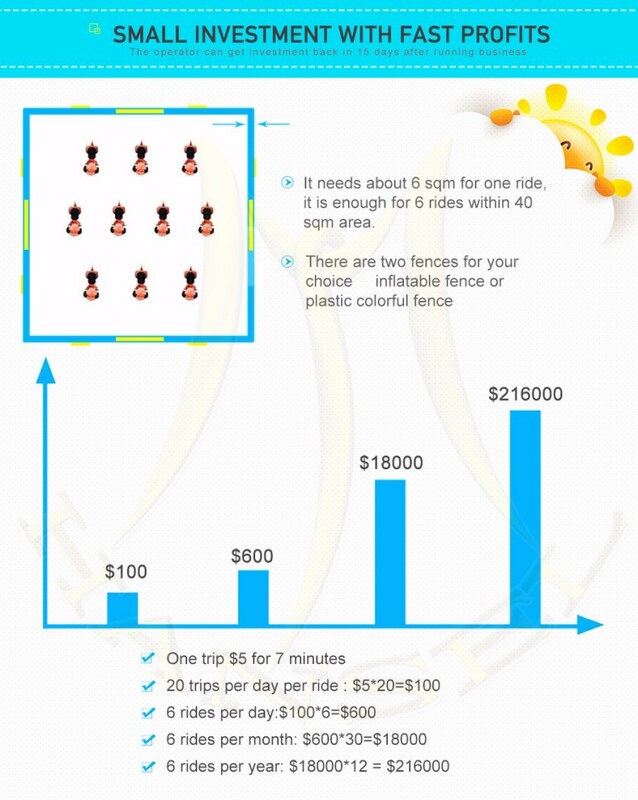 Is the animal scooters business profitable? 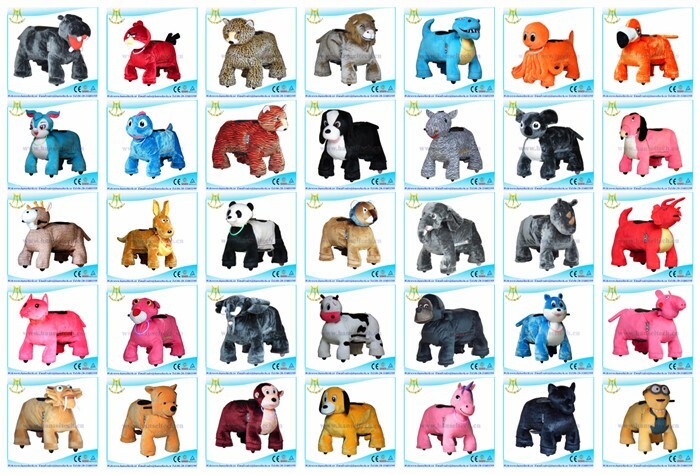 Our animal are very hot in different people from kids to parents,it definitely would be great choice for your center! 2. How many models do you have for choice? 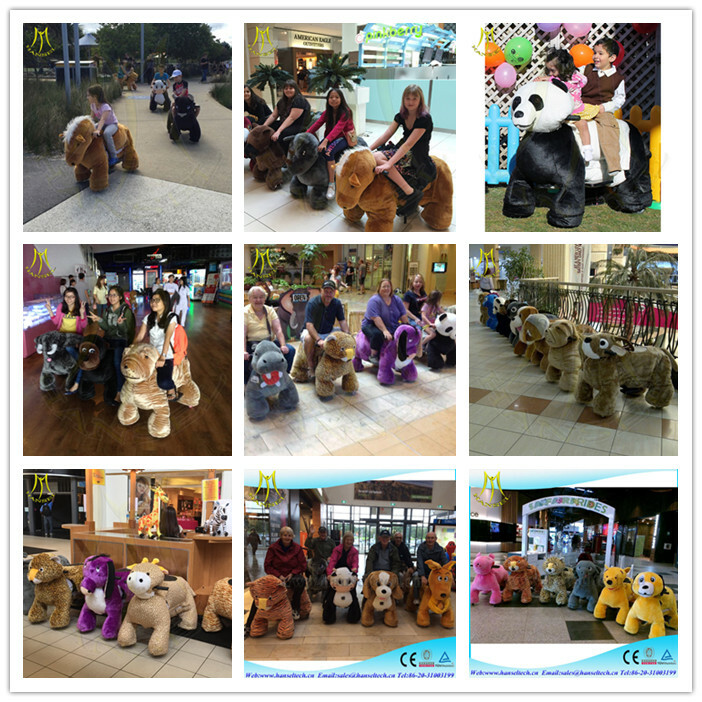 There are 40 different animal scooters in our Hansel factory for your choice, most popular is the unicorn, almost each clients choose the unicorn ride, or just tell us the model you kids or clients prefer, we can do it for you. 3. What is the quality? We make sure the quality worth the price, many clients afraid the safe and reinforcement of the animals. 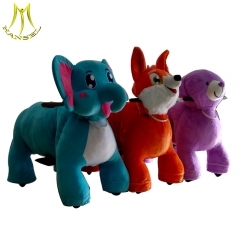 Our animals cars have passed CE, fire proof plush skin with enough cotton, steel tube frame with double reinforce part.Pls contact us for more detailed information of our animals,you will know more about our quality. 4. How fast do the animals go? Speed: 30-60m/min, the speed is related to the ground and weight of players. The more smooth of the ground, the faster of the rides. 5. Do I have to assemble the animal toy rides or do they come already assembled? The animal toy rides will come with assembled. 6. How do you clean them when the get dirty and discolored? 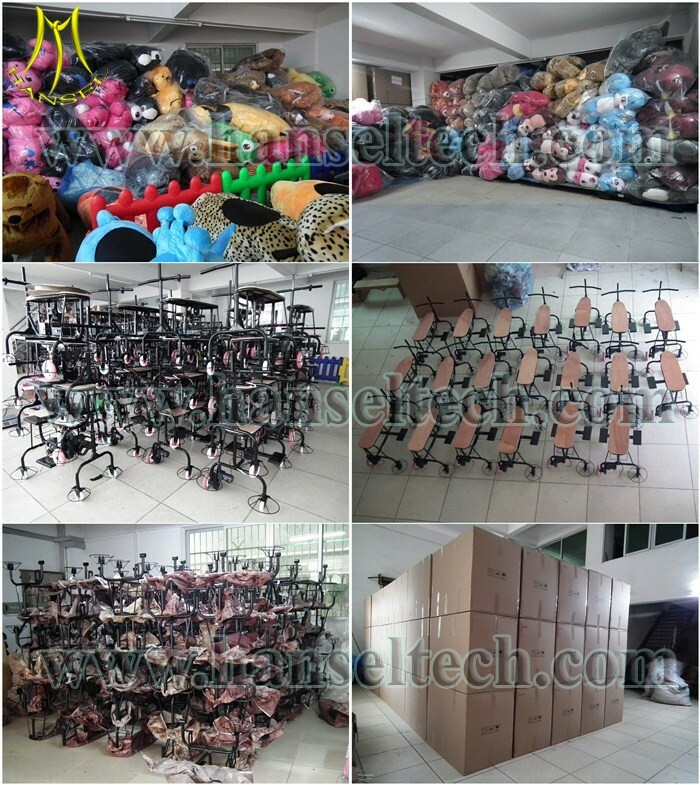 We use fire proof plush material for the skin,not easy to fade, lint-free,could use at least 3 years. 7. 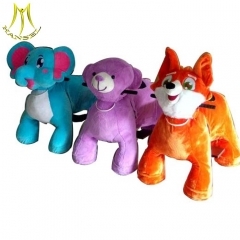 Do you sell the coins for the coin operated animals? yes,we will send 50 coins for 1 animal,you can buy more coins in store if needed. 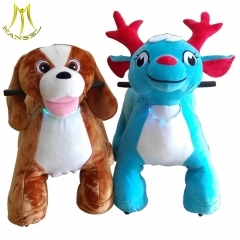 Know more about US Guangzhou Hansel is a top plush animals scooter manufacturer in Guangzhou with more than 10 years experience. 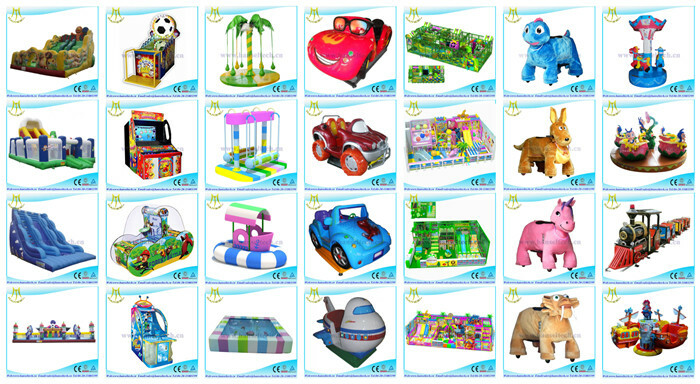 We are work to become the China's leading kids amusement supplier and bring happiness to kids all over the world. 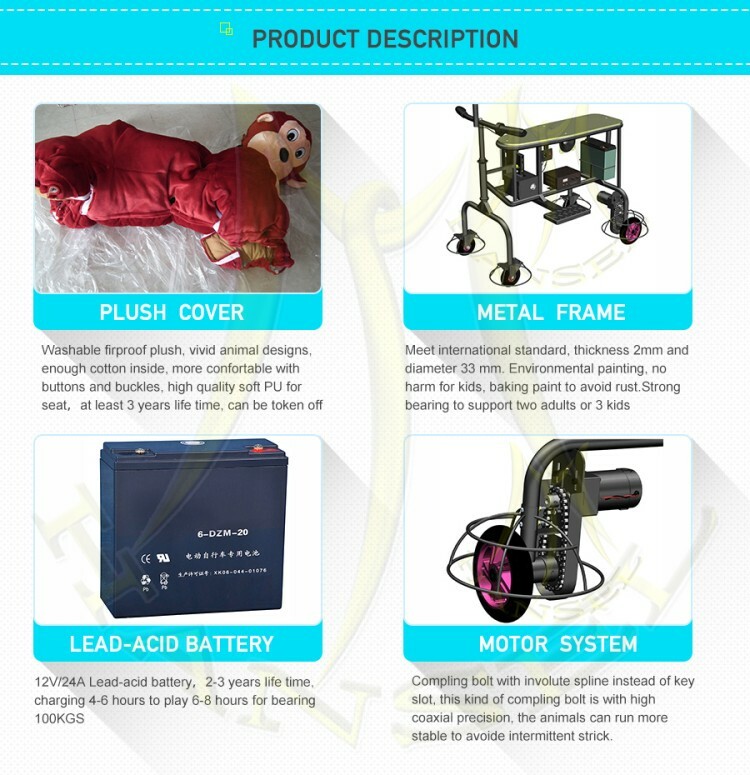 The super high-quality, newly-designed products is always our goal. 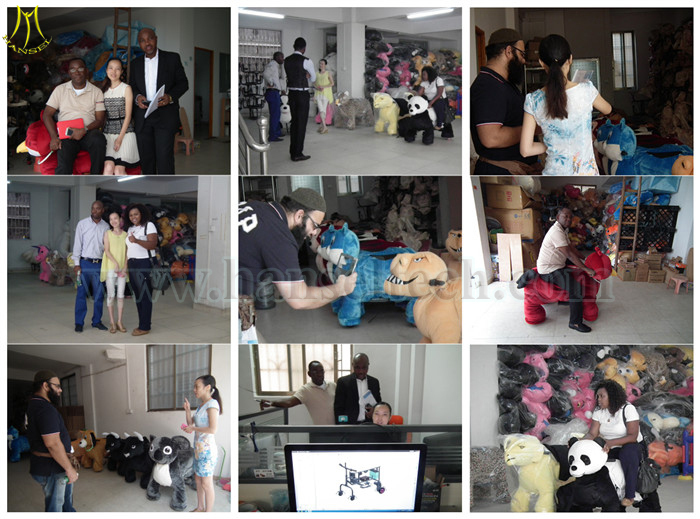 Welcome friends all around to visit our factory and see our products, hope we will have opportunity to do business with you! 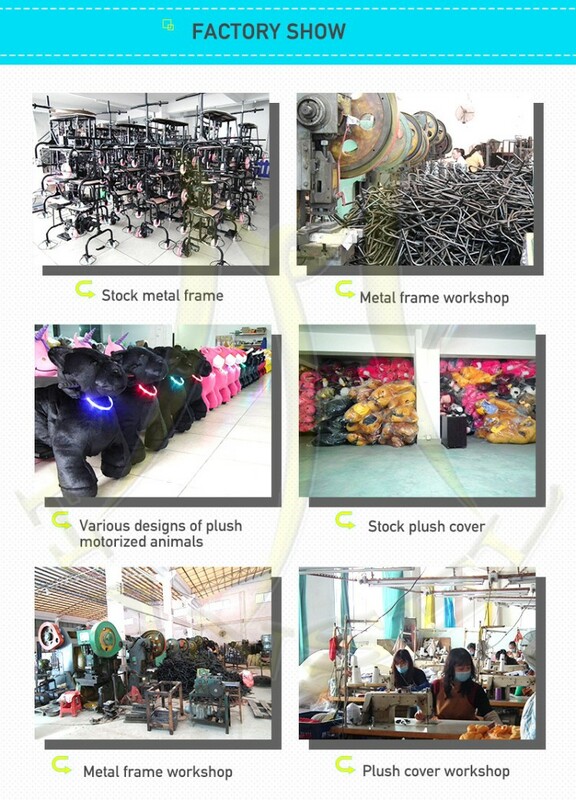 Best Quality in Chinese market + Factory outlet Price + Prompt Delivery + Professional Technical support. 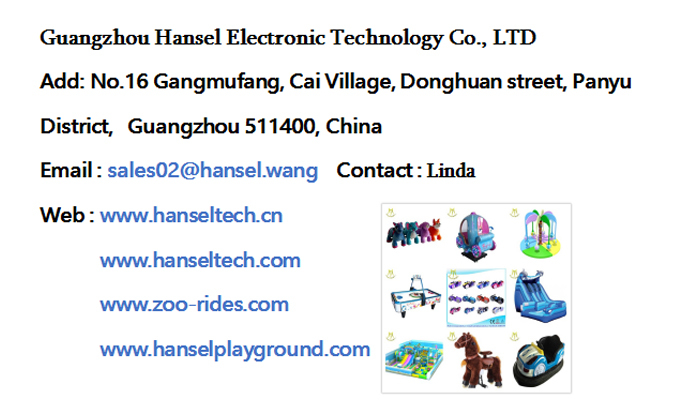 Coin operated fiber glass rides:kiddie rides ,Carousel rides, mini train, revolving elevator, bumper cars, track trains,etc. 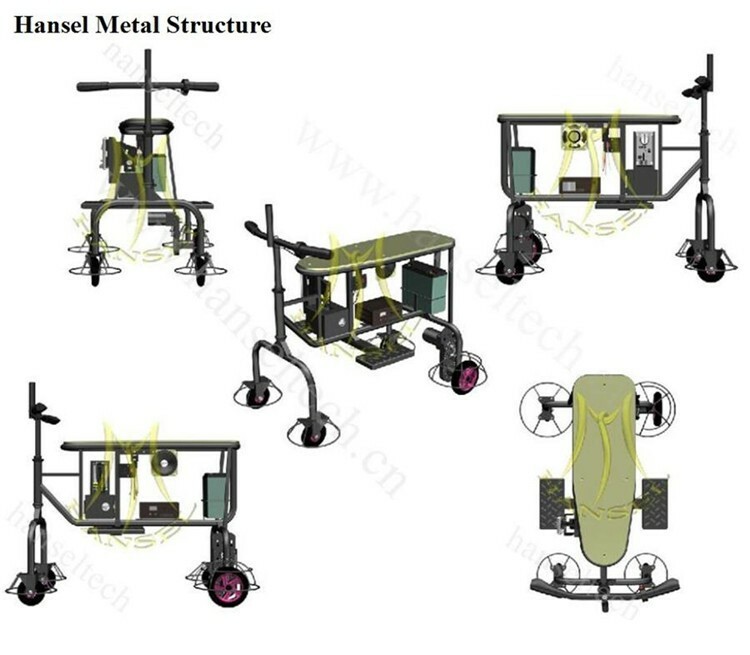 Hansel company can supply over 100 different models of children rides which can meet most of our clients demands.The most popular designs are cars, motors, some animal designs, trains,etc. 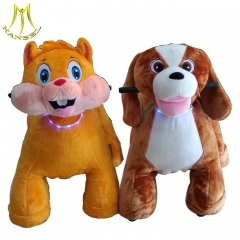 They are suitable for store, game center, amusement park, shopping center, game center, etc.We have successfully installed bumper cars area for our clients in different countries such as Iraq, Armenia, Pakistan, etc.